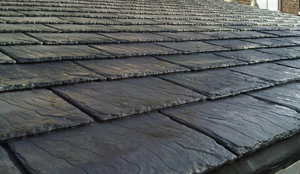 Natural slate is one of the cleanest and most environmentally beneficial materials you can use for your roof. It has the lowest carbon footprint of any pitched roof covering per m2, and when design life is considered it’s streets ahead. And now it’s even cleaner. With more and more people considering green issues, New Tech Eco Slates could be exactly what your customers are looking for. That’s why SIG have all the information and expert advice you need, from Installation Guides, BBA Certificates and tools for the job. Available in 2 standard colours; Grey and Old World Red. New Tech is quicker and easier to install than traditional slate. Unlike synthetic slates the eco slates naturally fuse together once laid, no adhesive needs to be added, forming a solid membrane on your roof. This gives you a stronger, more flexible membrane, and a better insulated roof, all installed in half the time and without the breakages associated with traditional slates. As the process relies on sunlight it works quicker in the summer months rather than winter. Installation is extremely simple. Slates are fitted straight onto plyboard or oriented strand board (OSB), a non-perforated asphalt saturated felt underlay and then nailed down in two places using the relevant size copper, stainless steel or hot-dipped galvanised nails. That’s it. 100% Recycled PET Resins with additives, colouring and UV Inhibitors. Freeze/Thaw Resistant. Doesn’t get brittle in freezing temperatures. Impact Resistance – Class 4, highest impact rating possible. Fire Retardant – Class SAA (BRE Certified). UV inhibitors protect from harmful sunlight ensuring slates do not get brittle over time. 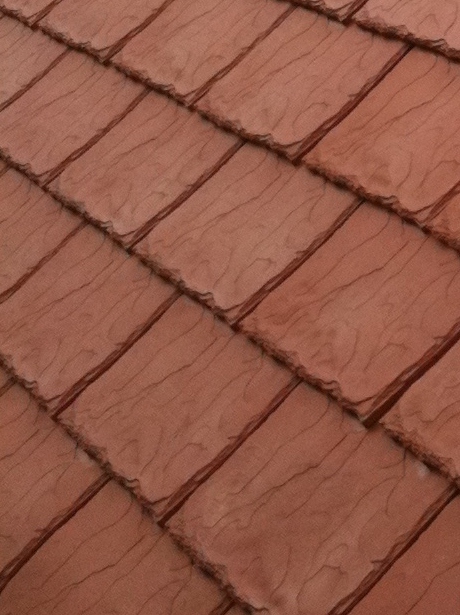 Slates use inorganic colours with less than 10% colour fade. Dimensions – Length: 16.5″ 420mm Width: 12” 300mm Thickness: 1/2” 5mm. Weight – 25 kg per pack of 26 slates. Come in boxes of 26 in recycled packaging. Slates per Pallet – 1,274. Weight per Pallet – 1200 kg per pallet. Slates per m2 – 17 – 22 x slates per square metre.